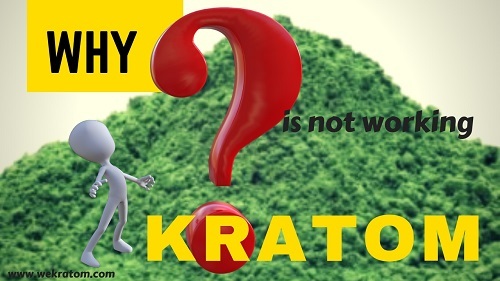 Why Your Kratom Is Not Working? Kratom CabinBlogHomeWhy Your Kratom Is Not Working? Inasmuch as kratom is generally an effective herb, it may often time fail to achieve the desired end. If and when this happens, it may often pose certain challenges and inconveniences. This is why you want to prevent the possibility of arising at all costs. We have studied this subject matter in finer details. We have subsequently identified the core reasons that may give rise to this phenomenon. We are going to examine them in finer details in the proceeding conversations. Kratom, unlike most other herbs, work well when ingested in smaller quantities. When taken overdose, they achieve the exact opposite ends. This simply means that they diminish in potency and unable to mitigate the same problems they are intended to in the first place. To forestall this particular problem, it is in your best interest to take in just enough amounts of the herb at a time. You may also consider rotating your strains on a daily basis. This also maintains your tolerance levels to the lowest minimum possible at any given time. In return, this rotation leads to higher effects. Different strains of kratom do exist. These strains are intended for different tasks and purposes. Chances are high that from time to time, you might take in inappropriate strains. This, of course, leads to little or no impact at all. Other than using an inappropriate strain of kratom for the right job, there is also the risk of utilizing a fake or low-quality strain altogether. Not every other herb that is stocked is up to standard. There is a strong possibility that you might fall for any of these fake ones that are in existence. This is why you have to take great care while sourcing for the right herb. Needless to say, kratom, just like every other herb, requires healthy nutrition and plenty of exercises to work effectively. Proper nutrition enhances the efficacy of the herb by supplying the crucial missing ingredients. Proper exercising, on the other hand, sees to it that you stay in the best shape and form at all times. This, therefore, means that in most instances, the herb may fail to operate well because these two vital ingredients are lacking. In light of this, you have to see to it that you furnish your body with the two missing ingredients and in the most sufficient quantities at all times. Studies upon studies have deduced almost without exception that there is a correlation between the duration after taking kratom and eating. 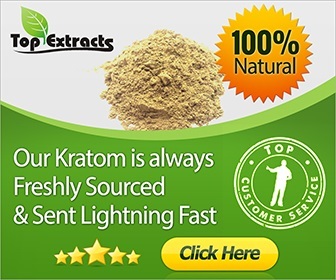 Those who wait for too long before eating after taking kratom generally experience better impacts than those who rush to eat immediately after taking the herb. As a general rule, you are highly advised to wait for at least three hours after eating before taking kratom. This is to give the food in your stomach room to be broken down into finer particles and absorbed in the bloodstream. The same case applies to water and any other beverages. When taken too early, they too may dilute the ingredients and diminish their efficacy. If you so happen to be taking other medications at the same time, they too might interfere with the potency of the herb. The chemical ingredients they possess may react with the ones that are contained in the kratom herb. This might have the side effect of giving rise to weaker products which have hardly any real effects on the body. The same case applies to hormonal fluctuations. If you do happen to experience them, they too might interfere with the functioning and overall effects of the kratom herb as a whole. This is why you might need technical advice before embarking on a treatment regime. Certain pre-existing medical conditions like common cold and flu may also severely impact the efficacy of the kratom herb. This is for two reasons. For one, you will definitely be administering certain medications to mitigate these conditions. These medications as stated will have the impact of diminishing the effects and potency of the herb as a whole. Secondly, the sicknesses themselves may take a toll on your body’s immune system. If and when this happens, they slow down and grossly interfere with the ability of the body to fight sicknesses. The kratom herb may offer some relief, granted. However, the overall impact will be less than normal. While it is normal to lose somebody moisture from time to time, excessive dehydration may have a toll on your body. Moreover, the herb in and of itself can also cause extreme dehydration. Dehydration reduces the ability of the ingredients to be transported to the body. This is because the ingredients require a fluid medium to be able to reach all corners of the body. To deal with this situation, you have to develop a habit of taking excess water and other beverages. Doing this has the impact of replenishing the fluid levels of the body. Buy and stock some bottles of water with you. Kratom’s Legal Status: Is Kratom Legal in Your State? Kratom Cabin is an online magazine dedicated to covering topics and news about kratom. The writers at KratomCabin.com are very passionate about everything Mitragyna Speciosa! Medical Disclaimer: All of the information on kratomcabin.com are for entertainment purposes only. Kratom has not been approved by the FDA and is not intended to diagnose, treat or cure any disease. Please consult a medical professional if you plan to consume kratom products. © 2019 Kratom Cabin. All Rights Reserved.